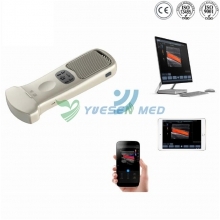 1.High quality,advanced technology,strong tooth cleaning.More exquisite,smart appearance. 2.Can choose storage battery to provide power. 3.Outside power supply ensures the machine operation more safely. 4.Tailor-made rubber protects the connection of handpiece and hose,ensuring the smooth running of water and extending the life-span of machine. 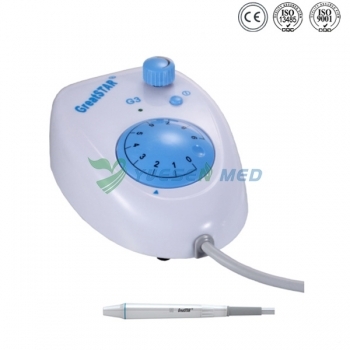 The Ultrasonic Scaler is composed of main electric circuit, water circuit, ultrasonic transducer, footswitch,and external power supply. It is intended to clean the teeth concretion, tartar, tar spot and tea spot that adhere to the teeth. 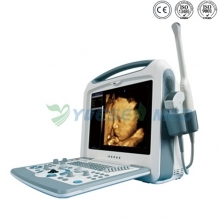 The Ultrasonic Scaler can be used for the dental cleaning and treatment. It is an effective device for removing the teeth concretion, tar spot, tea spot, tartar; but it is not suitable for treating tetracycline teeth or yellow and blackish teeth caused by the pathological changes of dentine. With novel appearance, the WZ-8511 has a simple structure steady quality, which brings more convenience and comfort in operation. To prevent cross infect ion, the detachable handpiece can bear autoclave sterilization under temperature as high as 135°C. The power supply can be adopted with direct current or storage battery, if the power supply is failed, the cleaning teeth can be also finished and the working place can be at your pleasure. The universal footswitch can be trodden on 360 at discretion.